Radio frequency skin tightening treatment uses energy to create a field of deep dermal heating which is natural and therapeutic in nature and it results in immediate skin tightening as well as improvement in making collagen. This technique is perfect for loose/thin skin on face and neck. This treatment is completely non invasive, so has no downtime apart from mild redness which is temporary for very short period of time. 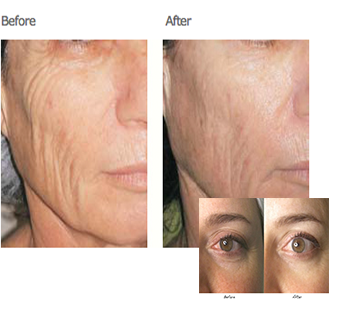 At Care Well Medi Hub, we use pure RF energy combined with some other energy to treat loose skin by skin tightening. It is best suitable to the patients with medium sagging of body/facial skin tissues that too in their mid 30s to 50s with any skin color. Anti ageing RF skin tightening is usually used to treat loosed face skin which includes ( lifting eyebrows, tightening the forehead skin, tightening and lifting upper cheeks, mid face jaw line) and neck part.